Multiple sclerosis (MS) is a common neurological disease for which no PET tracers are available. Tracers are in development for inflammation (TSPO ligands) and myelin but no tracers exist for demyelinated axons, the hallmark of MS. Potassium (K+) channels in myelinated axons are normally located beneath the myelin sheath. During MS, myelin becomes damaged leaving these channels exposed. K+ channel blockers, such as 4-aminopyridine (4-AP), are used clinically to enhance axonal conduction and improve neurological function. Here, we explore the possibility that 4-AP analogs can be used to image demyelination. 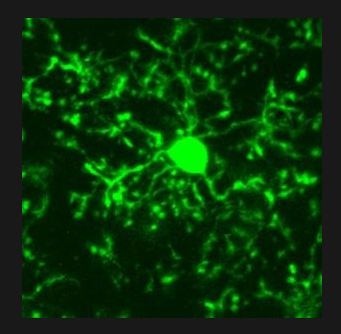 Our goals: - Show that 4-AP has higher uptake in demyelinated areas over myelinated areas in animal models of MS. - Develop fluorinated derivatives of 4-AP and routes to label these molecules with 18F. - Conduct PET imaging studies using [18F] 4-AP in rats and monkeys. [14C] 4-AP was administered to live demyelinated and control mice and the uptake in white matter was measured using autoradiography. - Fluorinated derivatives of 4-AP were synthesized and their binding affinity compared with 4-AP. - A route for 18F labeling of our lead compound was developed. - PET imaging studies in demyelinated rats and monkeys are ongoing. 4-AP and the fluorinated derivative 3-F-4-AP show significantly higher uptake in demyelinated areas over normally myelinated white matter. These molecules permit distinguishing demyelinated animals from controls using autoradiography. The SUV ratio in brain over blood for 3-F-4-AP 1h post injection is >2. A novel synthetic strategy for 18F labeling of 3-F-4-AP has been developed comprising aromatic nucleophilic substitution followed by reduction. We expect to have microPET results by June 2015. We have identified the first compound whose uptake increases upon demyelination, which is also brain permeable and metabolically stable. This compound is based on an approved drug for MS. This compound is a promising PET tracer for demyelinating conditions.